Did I get your attention? Good. Look, we work, we might go to school, we pay our bills and any debts, and we try to save, but sometimes it’s just not enough. Maybe you want to supplement your income, but you have no time for a second (or third) job. Or maybe you have family members to take care of and can’t leave them for any more time. Maybe you like your current lifestyle, but could use some extra cash to go on a trip or save for retirement or to attend an exotic wedding. Whatever your reason, I think most people can agree, free money is definitely something we can get down with. I sat down with my friend, Mrs. Wright, to learn all about the world of COUPONING. She is a pro and I am really interested in how I can get started. Here we go . . .
I’m good, thanks. We have heard a lot about couponing on tv, can you explain in simple terms what ‘Couponing’ is? Couponing is an art form. It is the process of taking multiple deals like coupons, store sales, cashback offers, app rebates, etc. and combining them all to get items for free, very cheap or, sometimes, even, at profit. It takes time, dedication and organization but it can be fun and rewarding. I started doing it to save money. I was spending a ridiculous amount of my family income on food and toiletries. I read a book about retiring early and the two methods to getting rich were to make more money and save the excess, or cut your budget to save more of the money you make now. Well, I have 2 kids and a good job so getting another job or spending more time working was out of the question. The second option was to cut the budget and start spending my money more wisely. I made a budget and was ASTONISHED at the amount of money I was spending on groceries and everyday essentials like toothpaste, toilet paper, and deodorant. So I started researching ways to save. Once I discovered couponing, I knew I could make some significant changes. It depends are how much you get into the process. If you only buy what you need, then no. I started just buying the products I wanted and needed for my family. That was easy. Took very little time. But then I started to LOVE the process – stacking deals and getting items for free – so now I spend a lot more time doing it. I wish I had more time to add more stores to my regular weekly couponing trips. But there is just not enough hours in the day. How much would you say you are saving monthly since you started? Couponing alone, I was able to cut my food budget in half and toiletry budget down to next to nothing. I save at least $500 per month. Together, with budgeting, I began cutting ALL my expenses (including phone, internet, all insurances, etc), so total monthly I was able to cut over $1000 per month out of my budget completely. I am still cutting the bills and looking for more deals. What are some websites that you use that you recommend? I got started on couponmom.com. I watched the videos on the site and got rolling. On krazycouponlady.com she explains how to stack deal at different stores. And I download a couple apps; you just take a picture of your receipts and the apps refund you for participating items purchased. The apps I use: Ibotta, Mobisave, Savingstar, and Checkout51. What’s the best way for someone to get started? Watch videos online and on YouTube. There are lots available. At first it is a little confusing because you don’t know when to buy things or what is a good deal but after a while you figure out what should be free, and what items you ought to spend $1 or $2. It just takes practice. Do you have to go to a lot of different stores? Only if you want to. I only search for deals at 4 stores right now. There is an endless list of stores, and you can find 10-30 deals at each store, but I do not have that kind of time so I shop at CVS, Walgreens, Rite Aid and Shoprite, weekly. Those are my go-to stores. I print the deals for those place and go from there. Then I compare the deals listed (couponmom.com). If the same toothpaste is on sale at 2 of the stores, I buy from the one that is cheaper after stacking. I have a coupon binder separated by categories. I try to stay organized with fliers and store rebates. Every Monday I print the deals from my 4 stores and compare each in my downtime, decide what I am going to buy, then I attach the coupons I need to use in that store to my “deals” sheets/printout. I take that sheet with the coupons attached (paperclip) in the store with me on my trip. That way I am not carrying my whole coupon binder. It takes prep work but in the end it is totally worth it. I buy Sunday Papers with the coupons in it. First I stop a the dollar store Sunday morning and buy about 5 (or whatever they have left) papers from there. They sell out quickly. Then I take the newspaper I just got and look at the coupons and compare to the coupons at Walgreens to see if there are any additional coupons I need for products I want to buy. If there are, I also buy that paper, if not I don’t. Different types of newspapers have slightly different coupons. Some have more that other, some have better deals. For example, your small local paper might have a $.50 deodorant coupon, and the big city paper could have the same coupon for $1 off. It happens so I check before buying. 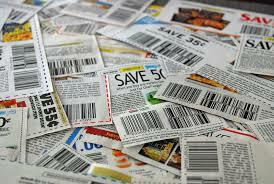 You can also print coupons online depending on the manufacturer and the product. Many websites have product coupons. Couponmom.com will include a link to the printable coupon in the deal description. Do you ever get tired of cutting coupons? Nope because I look at it as free money. Who doesn’t like free money? Be patient. Use your coupons wisely. Thank you, Mrs. Wright. Lots of great tips!! I hope you enjoyed this learning session. If you have something you’d like to share, please contact me through the website or on Instagram. Posted in How to, Learn Something, Try Something New and tagged couponing, coupons, deals, money, saving.